10+2 or Graduation marks sheet and certificate. Process: After the declaration of AILET 2019 results and dispatch of the merit list, the counselling session will be organised for the qualifiers and seats will be allotted on based on their ranks secured in AILET 2019 entrance examination 2019. 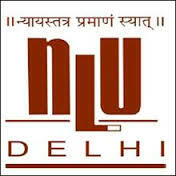 Direct interview: Qualified candidates will be called for counselling by the National Law University, Delhi, officially and they should wait for the admission letter after the declaration of the shortlisted candidates. Document Verification: Prior to the counselling session, a document verification process will be run by the authorities, if the candidates fail to produce valid documents in the verification process, he/she will be disqualified immediately by the authority. After the declaration of AILET results and dispatch of the merit list, the counseling session will be organized for the qualifiers and seats will be allotted on based off their ranks secured in AILET entrance examination 2017. Qualified candidates will be called for counseling by the National Law University, Delhi, officially and they should wait for the admission letter after the declaration of the shortlisted candidates. The seats will be allotted to the qualified candidates in more than one rounds, the first round of seat allotment and AILET Spot Counselling round which will be organized in the month of June 2017. Prior to the counseling session, a document verification process will be run by the authorities, if the candidates fail to produce valid documents in the verification process, he/she will be disqualified immediately by the authority. When will be the first round of AILET counselling be organized? The first round of seat allotment and AILET Spot Counselling round will be organized in the month of June 2017. How much is the seat reservation for all the categories for AILET? How many seats are reserved for the Physically Handicapped category candidates? 2.5% of the total seats are reserved for persons with disability. How many seats are reserved for the General category candidates? 75% of the total seats are reserved for the General category candidates. What will happen if I produce the wrong document? Can everyone who applied for AILET attend counselling session? After AILET results are announced, the counseling session will be organized for the qualifiers and seats will be allotted on based of their ranks secured in AILET entrance examination. Who will be in charge of the counselling process? The AILET 2017 Counselling process is managed by the NLU. All decisions made my the counselling commitee will be deemed full and final. May I know the seat reservation for ST candidates for AILET? The reservation seats for ST candidates is 7.5% for AILET exam. How will the counsellor know my context? The counsellor will get to know your context by understanding your family background, culture Background, religious background, believe in work view. This will be a continuous process where the counsellor will continue to understand your point of view, from your worldview and help you out accordingly.